It’s my honor and pleasure to announce that my recent VR film Ex\Static has been awarded a Special Prize for Innovation in Storytelling at the Second Annual World VR Forum Summit, taking place between 11-14 May 2017 in Crans-Montana, Switzerland. We want to recognize a unique work that possesses a balanced interplay of music and light, a graceful temporal progression, stunning detailed visuals, and a beautiful score. As a work that uses abstraction and symbolism to create a reflection of modern life that provokes self reflection, we felt that this is a work that delivers multiple layers of meaning, and we felt it could be unique upon rewatch. 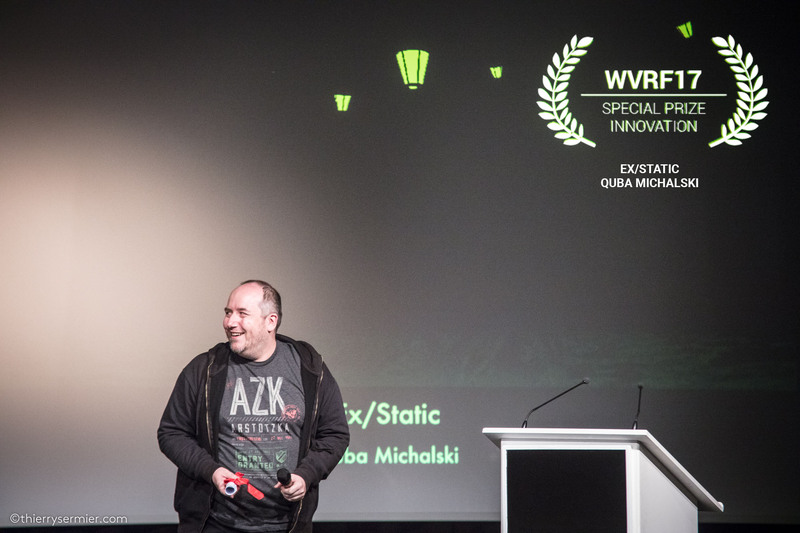 For Innovative Storytelling, the jury awards an honorable mention to Ex/Static, by Quba Michalski. The full list of winners can be found on the WVRF17 website, at: https://wvrf17.worldvrforum.com/winners-2017/. I would like to thank the organizers of the festival, as well as the members of the jury for recognizing my work with this distinction. I’d also want to congratulate all other artists and creatives who took part in this wonderful event – both in and out of the competition. It’s truly a pleasure to see the medium of virtual reality evolve as not just a technology, but a legitimate medium for artistic and narrative expression. I hope to see you all again, next year! Die größte VR-Community für den aufstrebenden VR-Hotspot in Mitteldeutschland ist Leipzig. Wir sind eine Gemeinschaft von und für VR-Schaffende, um die Kunst und das Handwerk der virtuellen Realität zu erfahren. In unseren vierteljährlich stattfindenden Showcases bringt Kaleidoscope lokale Macher zusammen, um ihre Arbeit zu teilen, Kollaborateure zu finden und Kaleidoscopes offizielle Auswahl an wegweisenden, internationalen, und vor allem neuen Projekten zu erleben. Schaffende aus allen Themengebieten sind willkommen! Kaleidoscope Berlin is a community for VR Creators to explore the art and science of virtual reality. Holding 3 Showcases per year, Kaleidoscope brings together local innovators to share their work, find collaborators, and experience Kaleidoscope’s Official Selection of groundbreaking, new projects. Creators from all backgrounds are welcome! The event will be hosted at Upload LA, a soon-to-launch 20,000 square foot hub for all things VR/AR – featuring coworking, private offices, a state-of-the-art mixed reality studio and 3D capture stage, demos, events and education. Kaleidoscope Kyiv це захід, мета якого продемонструвати найкращий контент віртуальної реальності, створеного у різних частинах світу та в Україні. Це майданчик для обміну досвідом та колаборації VR AR творців у створенні мистецьких проектів та обговорення можливостей віртуальної реальності. Kaleidoscope AUSTRALIA is a community for VR Creators to explore the art and science of virtual reality. Holding quarterly Showcases, Kaleidoscope brings together local innovators to share their work, find collaborators, and experience Kaleidoscope’s Official Selection of groundbreaking, new projects. Creators from all backgrounds are welcome! 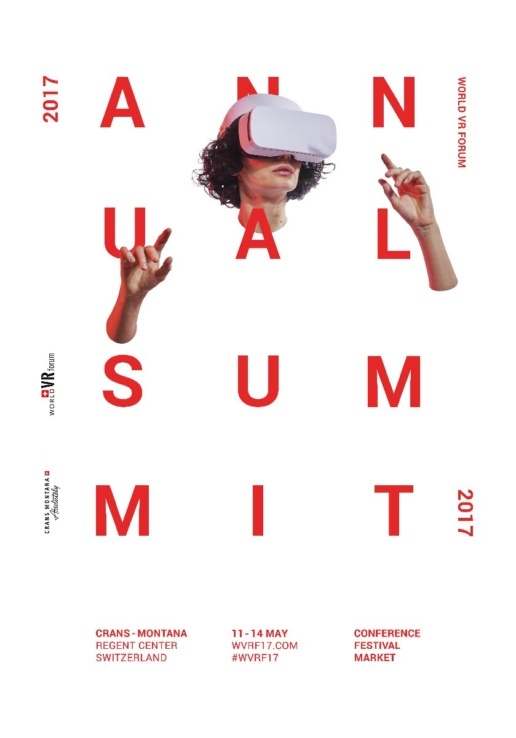 A unique VR Festival which brings a state-of-the-art curatorship. Each VR experience has its own custom-designed space and installations are produced in collaboration with WVRF and the Artists to bring an unparalleled experience of virtual reality augmented with real reality. The Festival’s core mission is to establish VR as a true form of art and to raise public awareness and media recognition. The Festival also comprises a VR Cinema and Game Zone with a play area dedicated entirely to entertainment for the general public. AWE (Augmented World Expo) is the world’s largest conference and expo dedicated to augmented reality, virtual reality and mixed reality. The event takes place in Santa Clara, California bringing together a mix of CEOs, CTOs, designers, developers, creative agencies, futurists, analysts, investors, and top press in a fantastic opportunity to learn, inspire, partner, and experience first hand the most exciting industry of our times. WSIS represents the world’s largest annual gathering of the ICT for development community. The annual WSIS Forum is a global multi-stakeholder platform facilitating the implementation of the WSIS Action Lines for advancing sustainable development. The Forum provides an opportunity for information exchange, knowledge creation and sharing of best practices, while identifying emerging trends and fostering partnerships, taking into account the evolving Information and Knowledge Societies. NAB Show is the world’s largest digital media and entertainment platform produced by National Association of Broadcasters (NAB). Each year NAB Show attracts digital media and entertainment professionals around the world who are anxious to learn, purchase and network with technologies to improve their workflow. For more events, visit the Publicity page. If you would like to show Ex\Static at your event, location, or to request a private screening – please contact Quba Michalski directly.